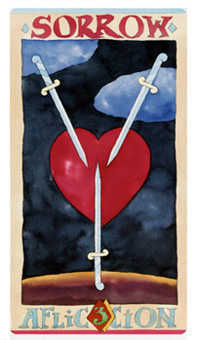 Misunderstandings are straining a relationship to the breaking point. 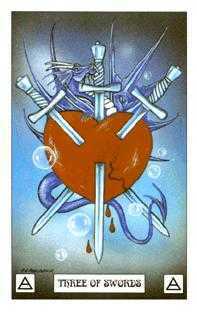 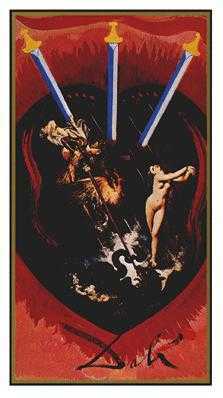 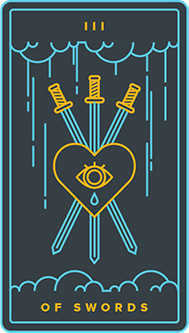 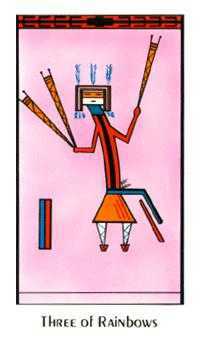 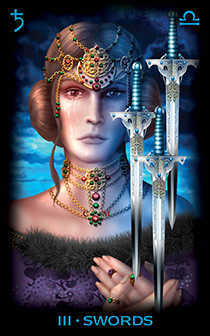 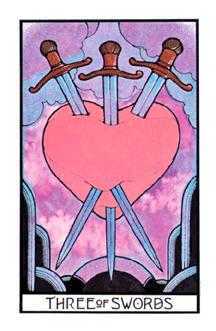 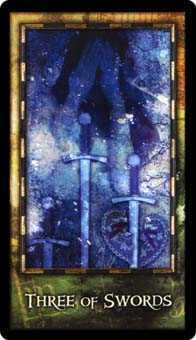 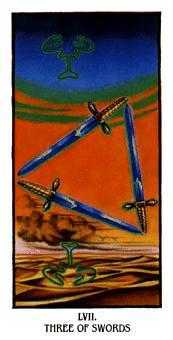 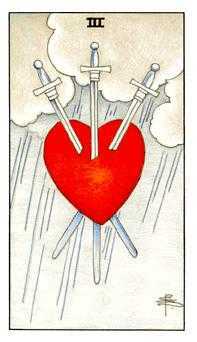 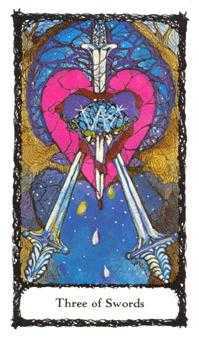 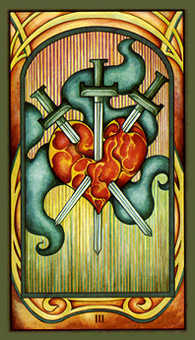 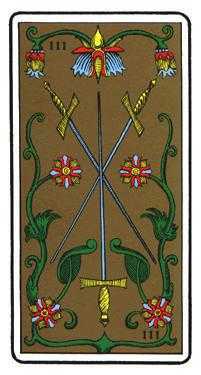 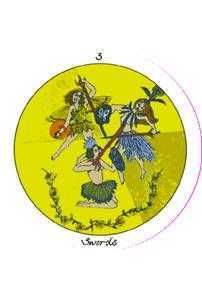 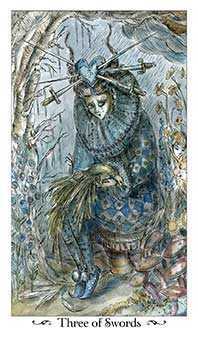 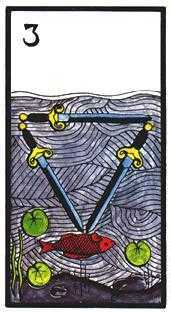 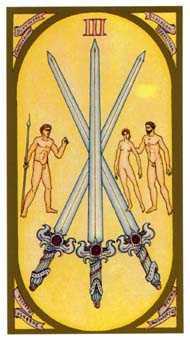 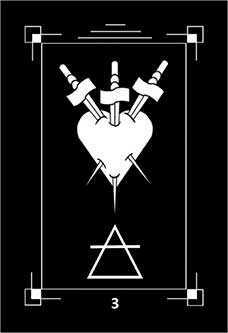 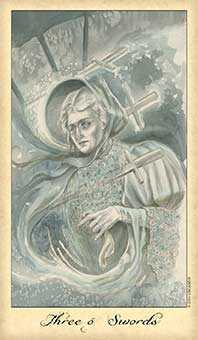 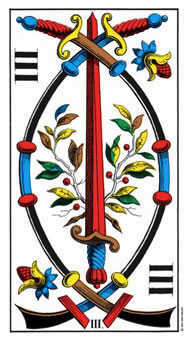 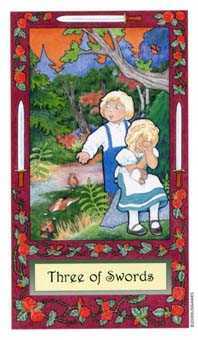 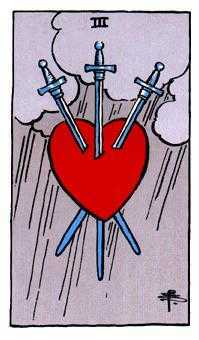 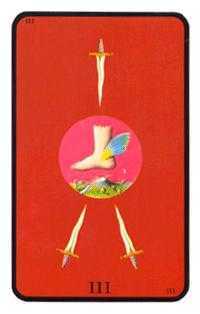 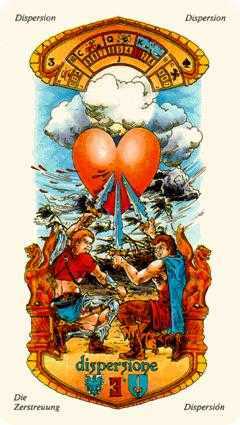 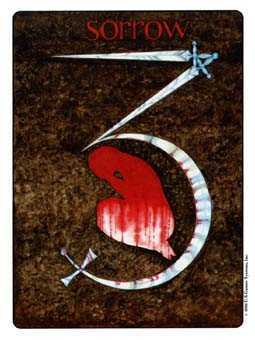 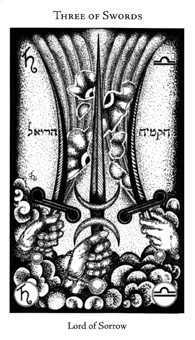 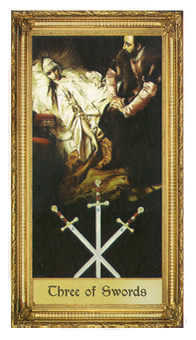 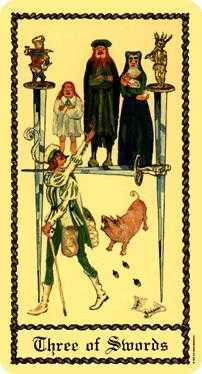 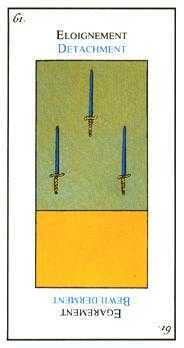 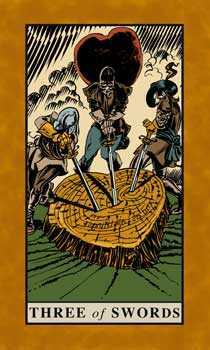 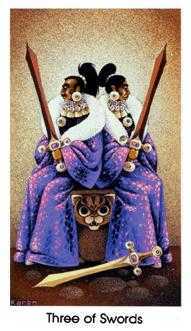 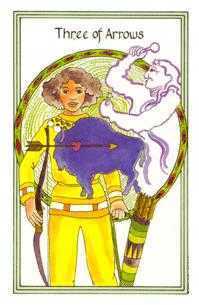 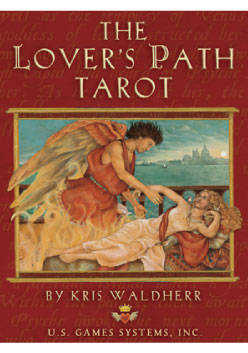 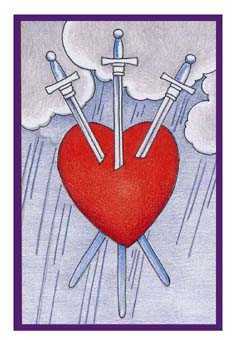 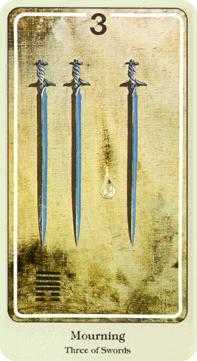 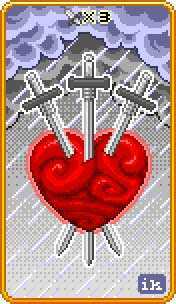 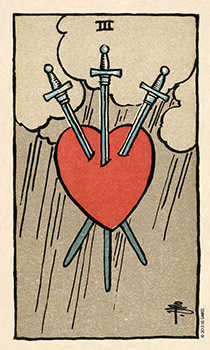 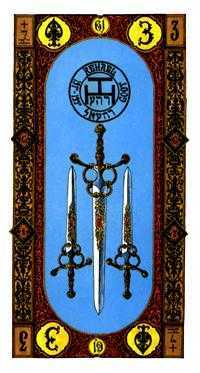 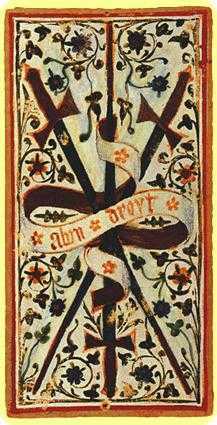 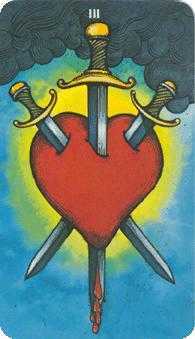 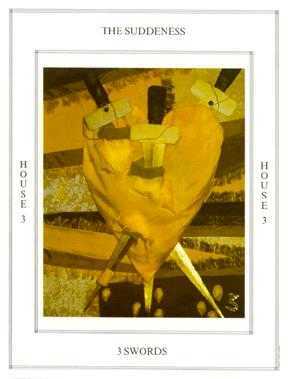 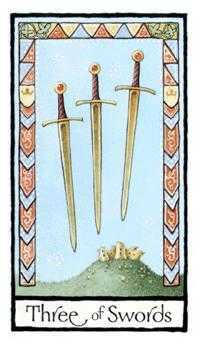 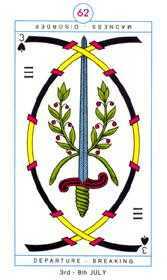 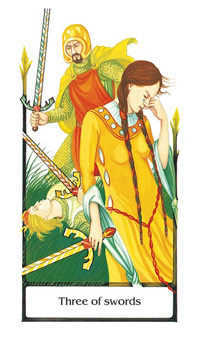 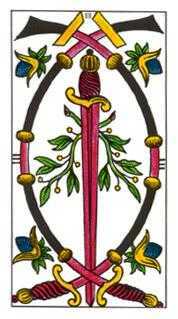 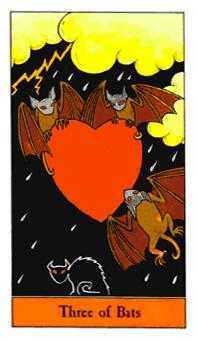 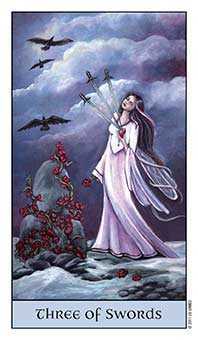 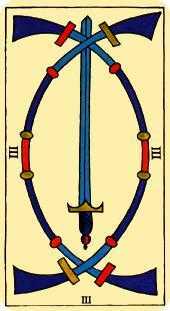 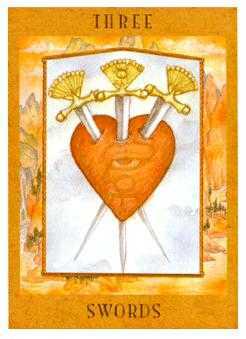 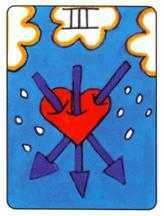 Traditionally, the Three of Swords signified separation or the breakup of a significant relationship, including the tragic emotions that come along with such an event. 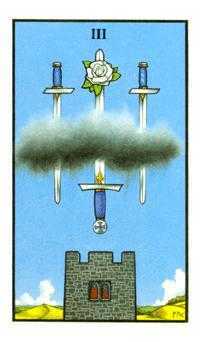 Some cards show the horizon filled with storm clouds and flashing lightning. 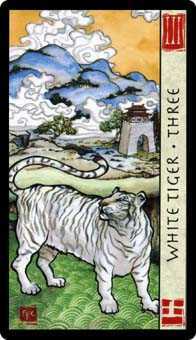 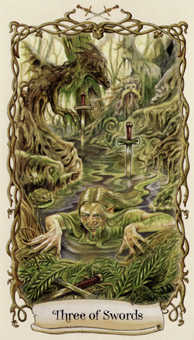 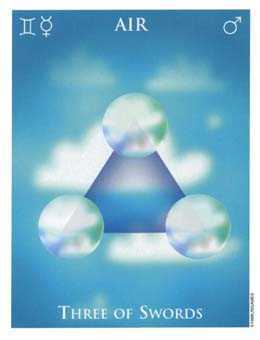 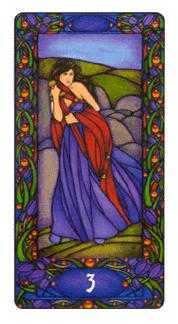 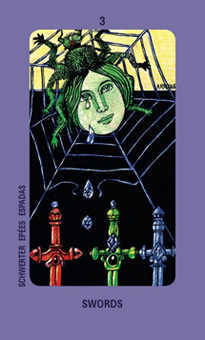 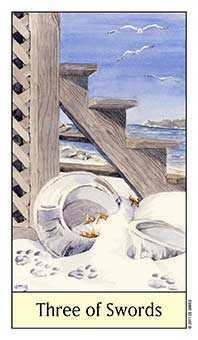 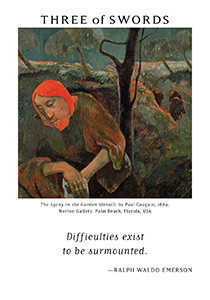 The positive side of this card would be the ending of draining or frustrating associations, to become free again. 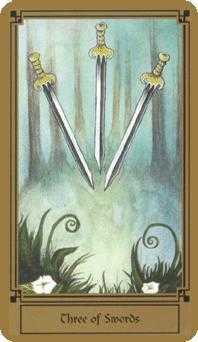 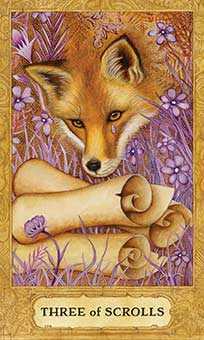 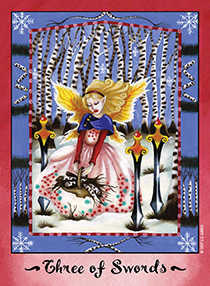 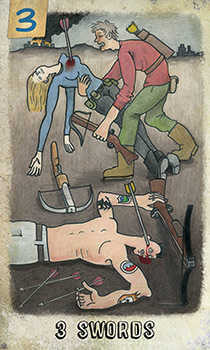 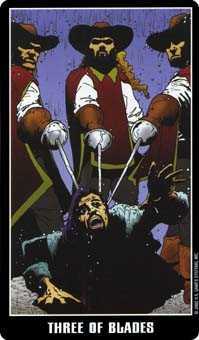 One message this card brings is to cut some things loose. 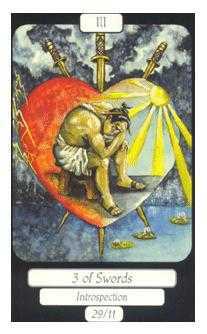 In spite of sentimental memories and emotional attachments, we need to let go of relationships that either cannot live up to their promise or have outlived the pleasure and support we once found in them. 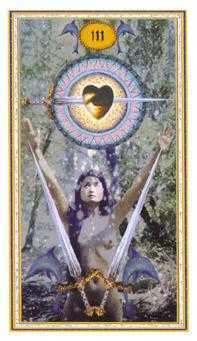 It might be healthier to disentangle yourself and start fresh. 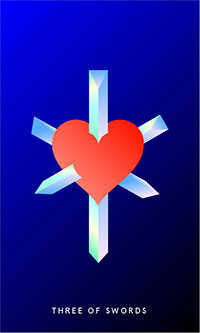 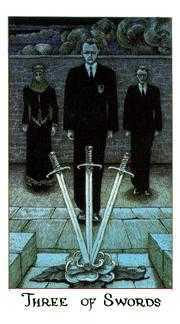 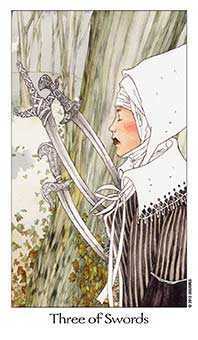 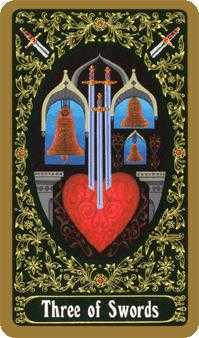 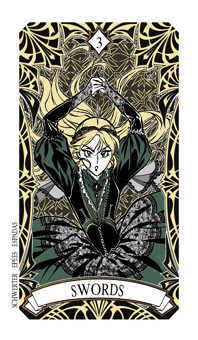 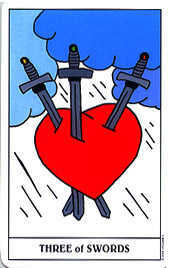 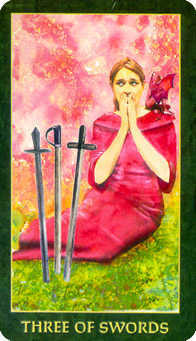 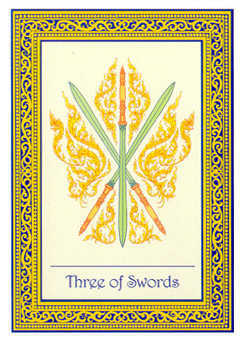 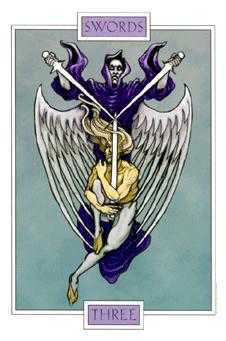 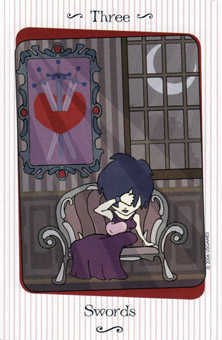 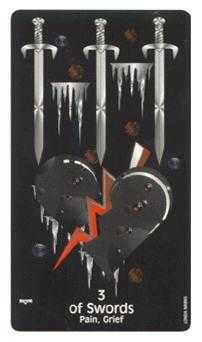 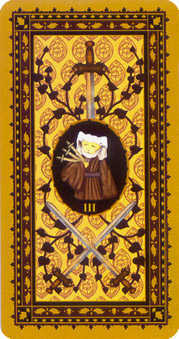 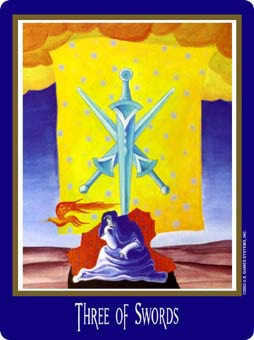 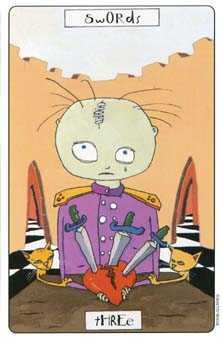 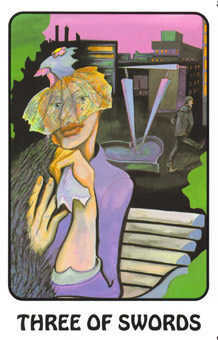 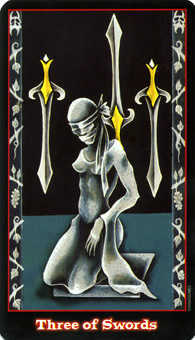 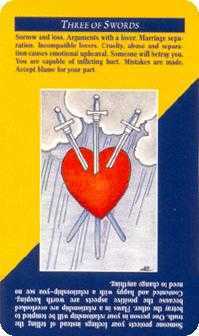 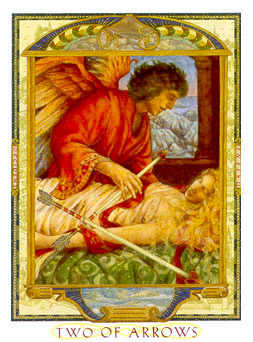 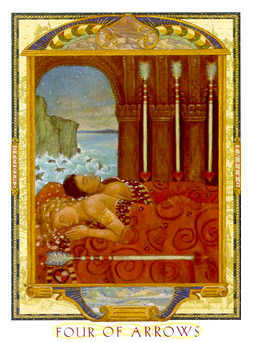 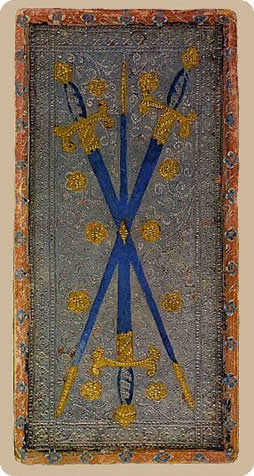 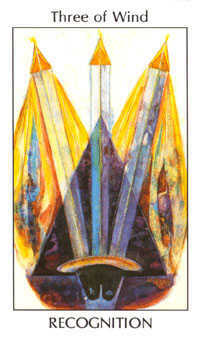 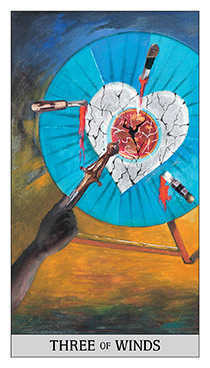 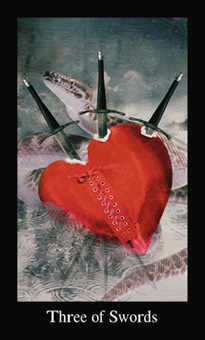 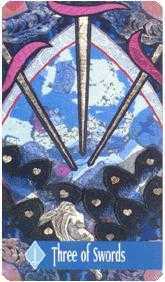 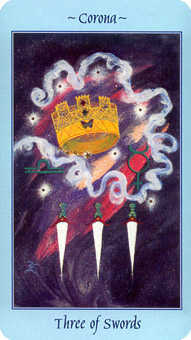 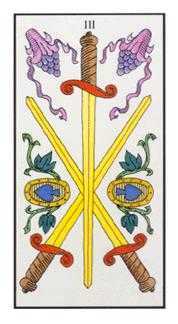 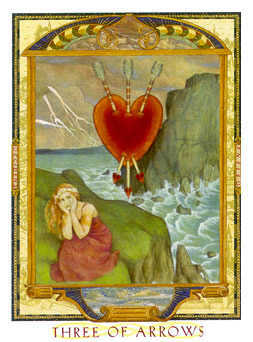 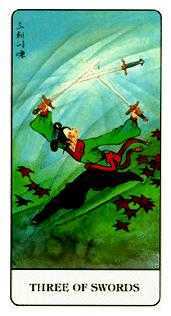 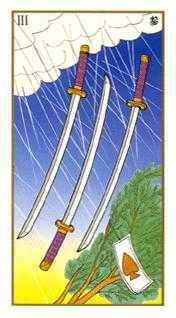 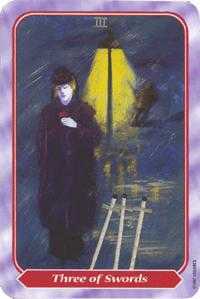 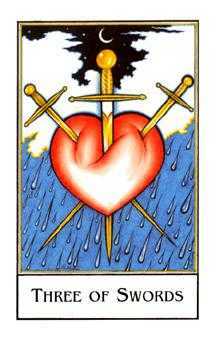 The Three of Swords in this position advises you to strike out on your own. 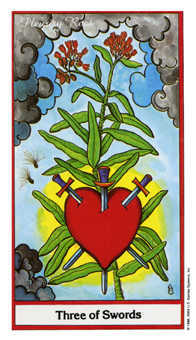 Become more independent. 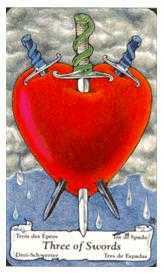 Separate yourself from people and forces you do not feel compatible with. 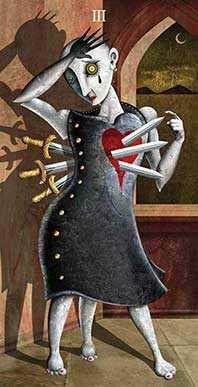 Grow a thicker skin. 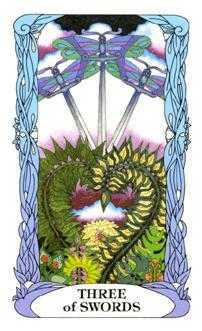 Use your creativity and imagination and seek out situations where the way you see things makes sense to those around you. 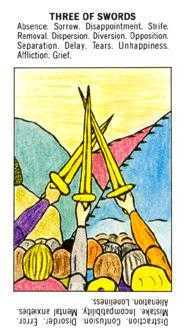 Move towards those who can embrace and appreciate your talents and all you have to contribute.